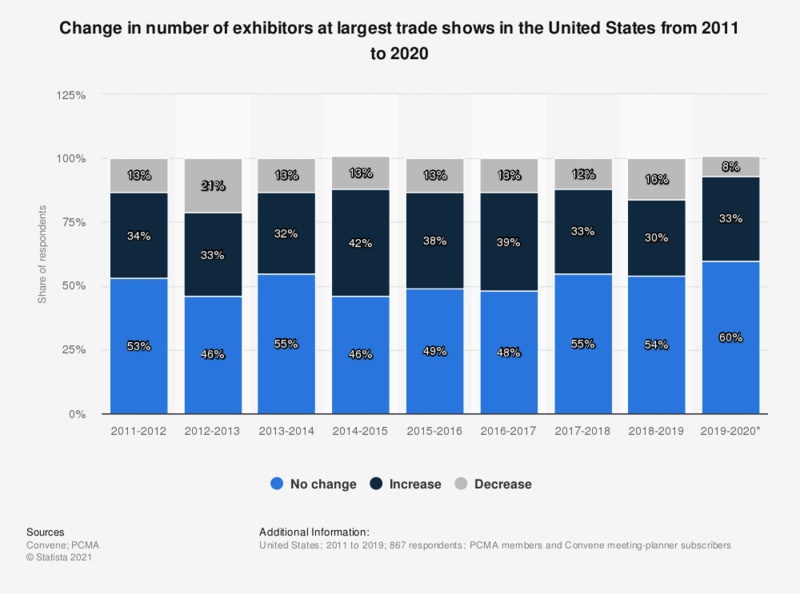 This statistic shows the reported change in number of exhibitors at largest trade shows and exhibitions in the United States from 2011 to 2017 alongside the forecasted change in number of exhibitors for 2018. The statistic shows that 39 percent of respondents reported an increase in the number of exhibitors from 2016 to 2017, and 32 percent expected another increase from 2017 to 2018. Respondents were asked to report the change in number of exhibitors at their largest show. They were also asked to forecast the change in number of exhibitors for the following year.